Volleyball was invented in 1895 and its global spread accelerated during the Second World War. Servicemen, who were fit, active, but had limb injuries or losses, could still enjoy Volleyball. Standing Volleyball for the Disabled was played by athletes with disabilities long before there was formal international competition. In particular, the game developed in Great Britain and was originally played only by amputee players. The World Organisation Volleyball for Disabled (WOVD) was established in 1951 and was part of the International Sports Organization for Disabled (ISOD). International competitions have taken place since the 1960s and in 1976 Standing Volleyball was added to the Paralympic Games Program, in Toronto, Canada. Sitting volleyball, which was introduced as a full medal sport in 1980, became the only form of Volleyball on the Paralympic Games program after the 2000 Sydney Paralympics, which was the last time six-a-side, indoor standing volleyball appeared on the Paralympic program. Standing Volleyball uses the same rules as six-a-side, able-bodied Volleyball. Athletes have an impairment that results in a competitive disadvantage. The classification system for Standing Volleyball covers limb loss or impairment, other musculoskeletal and neurological conditions. Athletes are assigned to one of three classes and the rules allow a maximum of one Class A (least impaired) and a minimum of one Class C (most impaired) player on the court at a time. 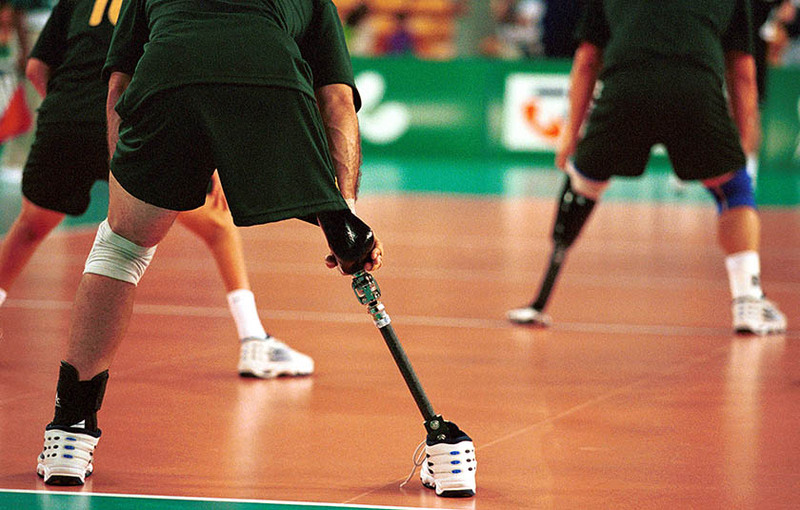 Amputee athletes can play with or without prostheses. Some above the knee amputees play without a prosthesis, hopping on a single leg. The Australian team has only participated at the 2000 Sydney Paralympics. The players were recruited from able-bodied competitions. The team, known as the ‘Volleyroos’, finished eighth of eight teams in the competition. At the end of the tournament, the International Paralympic Committee determined that the sport would not be part of the 2004 Athens Games due to it failing to meet criteria for ongoing inclusion.